In 1937, Pablo Picasso painted his famous Guernica as a protest reaction to the crimes of fascism in Spain. The Hindenburg disaster occurred on May 6. George VI’s coronation at Westminster Abbey took place on May 12 in the presence of TV cameras which was a very new and special kind of event. And this BMW 327 which can be seen on the photos left the factory. 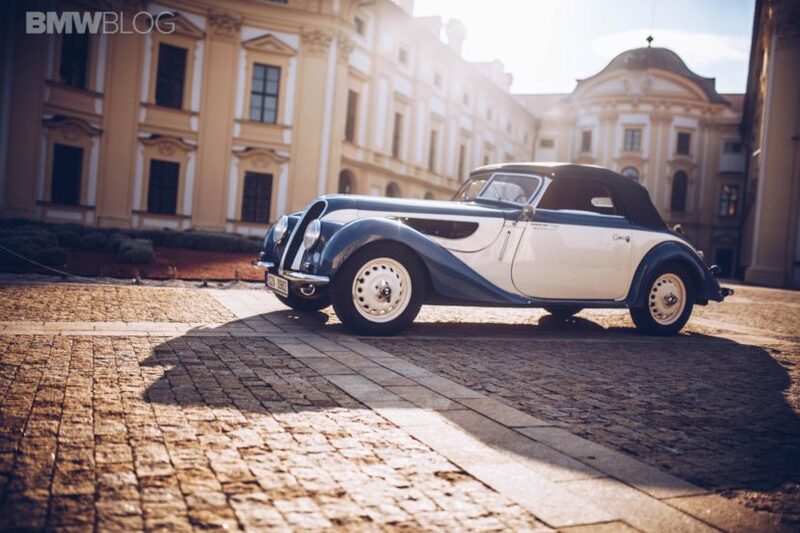 The BMW 327 is quite frequently considered as one of the most beautiful cars of all time. Thus, there is an obvious reason why to start the series of reports about iconic BMW models with the 327. “Especially Coupe,” says Miloš Vránek, an owner of one of the European largest private collection of historical BMWs, in respect of this 327’s reputation. His collection includes both versions of the model, Coupe and Convertible. While the Coupe’s renovation is in its final stages, the Convertible is available for us right now. “It is absolutely elegant, sporty and it is equipped with top-class technologies of its time. This car meant the best possible promotion to the brand,” notes Miloš Vránek. Of course, it is much more difficult to control this oldtimer than current BMWs. The power steering is missing which can be a real challenge especially during parking. “Once I broke my wrist when turning the steering wheel,” recalls the collection owner. The braking distance is longer and, thus, it is necessary to foresee the situation on the road in advance (like really in advance). However, old and new BMWs have a thing in common. They have always been technologically at the top and often ahead compared of competitors. “In the beginning, the BMW brand was associated with aviation and, in this area, everything had to be precise. They could not make a mistake. This experience has been reflected in quality of BMW cars,” Vránek says. Our trip is just about 40 kilometers long. We are going to visit the château in Slavkov. This 327 is used usually on longer routes. 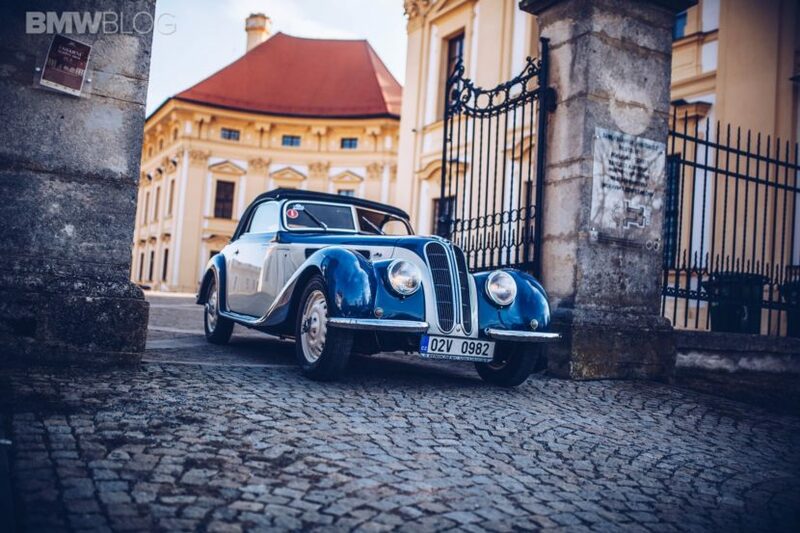 In 2016, for example, this 80-year-old car made a trip Brno-Berlin (and back) to celebrate 100 years of the BMW brand. 600 kilometers to Berlin, 400 kilometers around it and 600 kilometers back to Brno. A very vital grandfather. 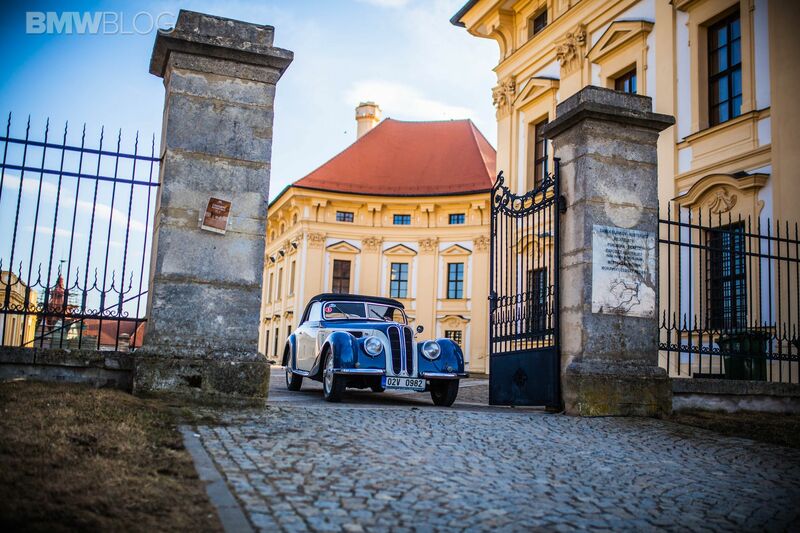 The car comes from central France where was discovered and bought by Miloš Vránek. Though the former owner claims that it had been renovated, it was necessary to redo the process, piece by piece, since the previous renovation had been conducted unprofessionally. “We had to dismantle it completely and make a new renovation according to the standards. It lasted two years,” adds Miloš Vránek. The BMW 327 has a 4.5 meters long body designed by Peter Schimanowski, a magician of his time. It was the first BMW designed in Munich and it can be also called the first streamlined BMW, or the first brand’s proper touring coupe. Aerodynamical shape, inbuilt lights, air outlets on the sides, partially covered rear wheels, usually two-colored design, these are the typical and innovative features of that stunning car. 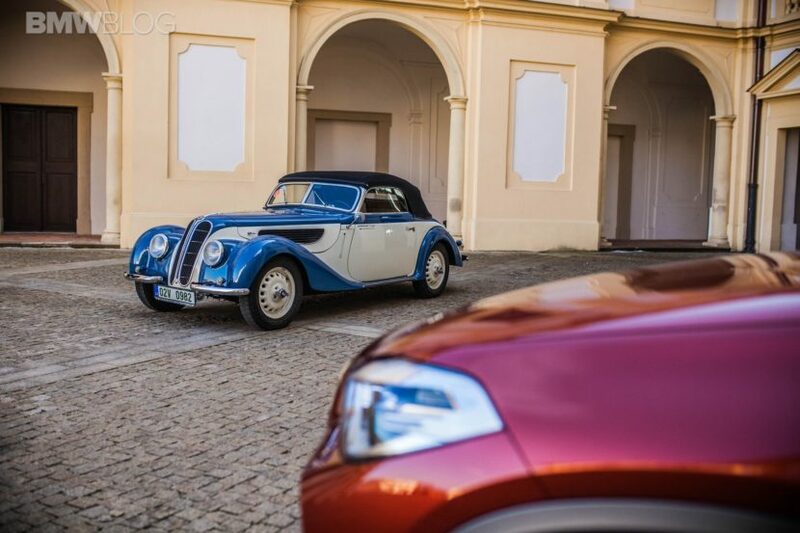 Would you agree that the BMW 327 is “the most beautiful on”“ or do you prefer another BMW old/youngtimer in that respect? 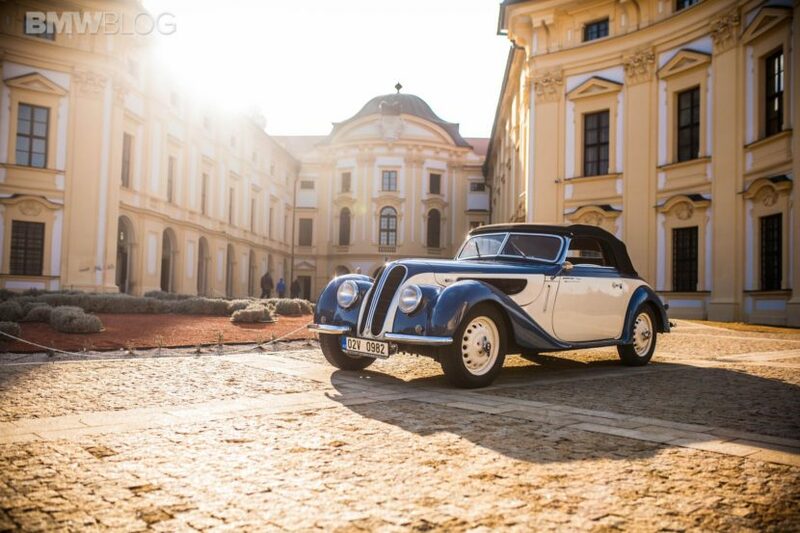 The series is created in cooperation with the Renocar BMW Museum in Brno, Czech Republic. These amazing cars can be found and seen here. The presented cars in the articles are usually fully functional. The original photodocumentary comes from the most beautiful places of the South Moravia region (in the Czech Republic) which is famous for its vineyards, châteaus or functionalist architecture.